Get 10% off the first item in your cart with this coupon anytime you order custom stickers or labels! When you get to the checkout page for your order, simply apply the coupon in the box at the bottom of the page. On orders with multiple items, coupons will apply to the first item in your cart, and our new Multiple Item Discount will apply for all additional items. As the size of your order grows, so does the potential discount you can earn on your custom stickers and labels. Did you know we also share special discounts all year long through our Email Newsletter and social media pages, so be sure to follow along and catch special discounts all year! 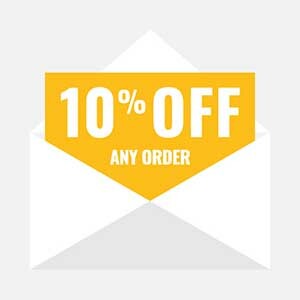 10% off first item in ANY order.